The driver of the van was approached by a man who was armed with what was described as a hammer. GARDAÍ ARE APPEALING for witnesses to an armed robbery of a cash-in-transit van in Dublin this afternoon. The incident happened at around 12.05pm when a security guard was making a cash delivery to a bank in Raheny Village. He was approached by a man who was armed with what was described as a hammer. He was forced to hand over the cash box. The raider left the scene in a Renault Megane driven by a second male. 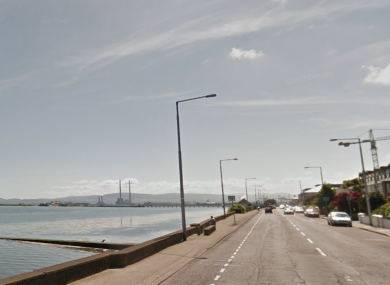 A short time later, the Renault Megane rammed a garda patrol car on the Clontarf Road. The car has been found abandoned on La Vista Avenue, Clontarf. Gardaí also recovered the cash box in the car. Gardaí are appealing for witnesses to contact them. They are particularly appealing to anyone who noticed anything suspicious in Raheny Village and La Vista Avenue between 11.30am and 12.30pm. People can call the incident room t Raheny Garda Station on 01 666 4300, the Garda Confidential Line on 1800 666 111, or any garda station. Email “Garda vehicle rammed by car used in Raheny cash-in-transit robbery”. Feedback on “Garda vehicle rammed by car used in Raheny cash-in-transit robbery”.